The students participating in HIKI NO, PBS Hawaii's statewide student news network, have been helping to spread the word about peace and compassion in Hawaii. HIKI NO students are part of public, private and charter schools at the intermediate and high school levels. Currently, approximately 90 schools are participating. 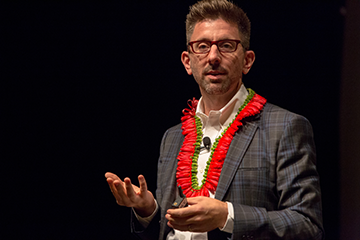 As a result of the students' work in covering the Pillars of Peace events and meeting the global leaders that have come to Hawaii, the students have also been affected in a positive manner. Here are a few reflections of the students from Aliamanu Middle School on how working on HIKI NO and covering the Pillars of Peace events with The Elders in August 2014 have made an impact on them. 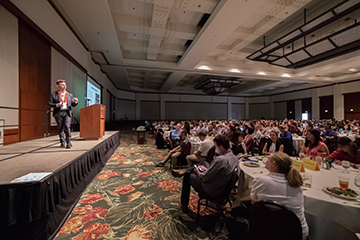 Students from Aliamanu Middle School covered the talk by The Elders for over 400 student leaders - Leader Make the Future: The Wisdom of Elders and Youngers. Additionally, the HIKI NO students were able to do one on one interviews with the three representatives of The Elders - former Prime Minister of Norway Gro Harlem Brundtland, Pakistani human rights leader Hina Jilani and Archbishop Desmond Tutu. The piece that aired on PBS Hawaii really demonstrates the connection and inspiration that was gained from The Elders. Students from Maui High School traveled to Oahu to attend a talk by Aung San Suu Kyi in January 2013. They produced this video to convey some of the messages the Nobel Peace Laureate shared and to capture the powerful impact of her words on some of the 300 students gathered.